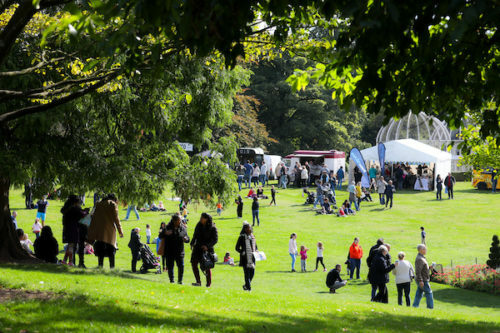 This year, to mark Calthorpe Estates’ landmark 300th year, a community event was held on Sunday 17th September at the Botanical Gardens in Edgbaston, a few minutes walk from Edgbaston Village. Estates Mark Lee, the Chief Executive of Calthorpe Estates said, “I want to say a heartfelt thank you from all the Estate team to everyone who joined us for our Edgbaston Tricentenary Festival at the Botanical Gardens where over 4,000 people had a fantastic day of entertainment, fun and celebrations. It is the feedback and ideas we receive from our community that help shape our forward plans and motivates us to deliver the very best so that they can enjoy working, living and visiting the Estate to take advantage of the vibrant leisure and lifestyle facilities within Edgbaston Village. All the plans and investment are progressed with the long-term vision to sustainably build and develop thriving communities, whilst retaining the heritage and outstanding facilities that we have.